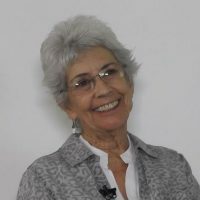 Dr. Norma Price is based in Tucson, Arizona. She has been practicing medicine for over 45 years and has more than a decade's experience working with migrants along the U.S.-Mexico border. Dr. Price serves as a medical expert for Physicians for Human Rights (PHR), and also works with two organizations in Arizona: Samaritans and No More Deaths. Along with partner organizations they work to provide support to asylum seekers who arrive in the United States after trekking for days through the desert. Dr. Price is a member of PHR’s Asylum Program network and brings valuable insights from her personal experiences at the border, including witnessing first-hand the conditions of neglect and trauma which vulnerable migrant families and children face. She graduated from University Of Tennessee College Of Medicine in 1966 and specializes in oncology and medical oncology. In 2018, she was named a “Hero of Health Care and Human Rights” by PHR and received the award at its annual gala in New York.